This fun sound book is packed with things that zoom through the air, across the seas, and along the roads to rescue people. 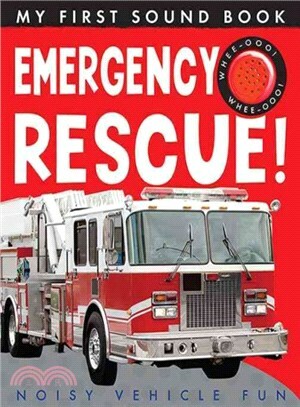 Young readers will delight in learning about police cars, fire trucks, and much more! Featuring bright colors, appealing photographs, and a realistic siren sound.